The MUC ballroom buzzed with sounds of celebration and traditional Asian music Tuesday night. 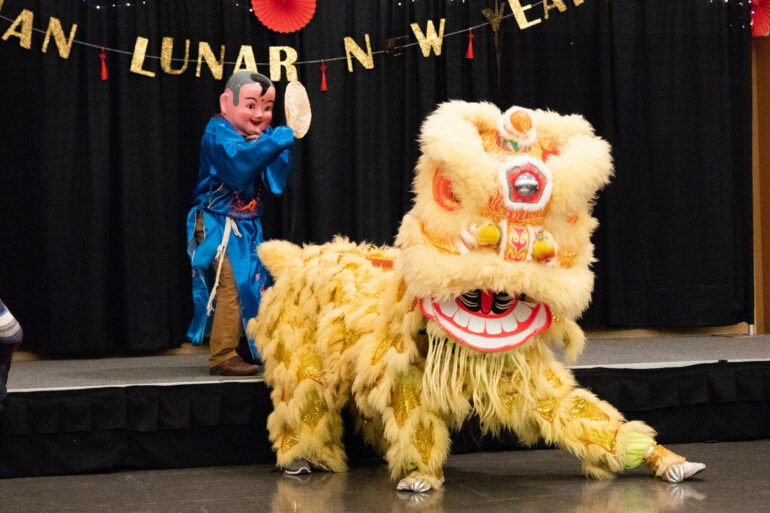 Filled with smells of authentic Asian cuisine, the Asian American Student Association (AASA) rang in the Asian Lunar New Year. Every Lunar New Year, the AASA, in partnership with the Center for Diversity and Community (CDC), holds this event to honor this festive tradition. Thuha Ho is a first-year computer science major and the newly-elected president of the AASA. Countries in Asia follow the Lunar New Year calendar. Even though it is at a different time from New Year’s Eve, it is a major celebration in both cultures. “We shoot off fireworks to scare away bad spirits, and we do bright colors, especially red, yellow and orange that mean good luck to many Asian countries,” Ho said. Laura Chandler, director of the CDC, introduced the event and thanked everyone for attending. “I commend you for embracing the USD community and sharing the inclusiveness and unity that defines this tradition for so many people throughout the world,” Chandler said. Each Lunar New Year is represented by an animal and 2019 is the Year of the Pig. The event featured a traditional Asian meal followed with performances by the Mini Lotus Dance Team, USD student Dacum Na and the Sioux Falls Chinese Association. Nicole Simmons is a sophomore majoring in elementary education. She attended the Lunar New Year to receive extra credit in one of her classes, but she was also intrigued about the event. The Lunar New Year celebrates more than the beginning of a new calendar year. “It not only celebrates the dawning of the New Year, but also the coming of spring. It is an occasion for renewal and a celebration of what is to come,” Chandler said. The AASA and the CDC hope that events like this will encourage students to embrace diversity and gain knowledge about other cultures. “Most importantly is diversity we want people to know of our culture and to understand it. We like to show what we put our heart into,” Ho said.